^ Levingston, Ivan. 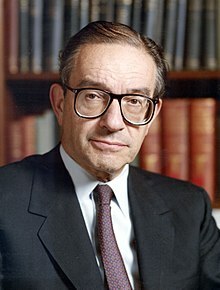 Greenspan Calls Trump Tariff Policies ‘Insane’. Bloomberg. November 15, 2018 [22 December 2018]. ^ 艾倫‧葛林斯潘. 世界經濟的未來版圖: 危機、人性，以及如何修正失靈的預測機制. 大塊文化出版股份有限公司. 1 July 2014: 385–. ISBN 978-986-213-537-2.